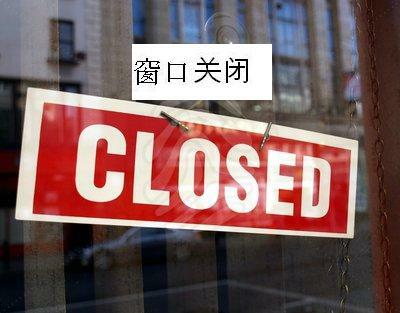 BrokerDealer.com special news update: In an effort to stem the recent plunge in prices of stocks listed on Chinese stock markets, this weekend the Shanghai and Shenzhen stock exchanges issued notices suspending initial public offerings (I.P.O.s) until further notice. The government-controlled Securities Association of China has instructed brokerdealers from 21 of the major brokerage firms to set up a nearly US$20bil fund (120 billion renminbi) that will be used to support stock prices by buying shares in China’s largest and most stable companies. Separately on Saturday, 25 Chinese mutual funds claimed they would also put more money into shares. Although fund managers did not reveal the exact amount, they noted that they would be investing their own funds. Saturday’s halt to IPOs could freeze large amounts of cash and dry up liquidity in the market, thus contributing to its stabilization, as large IPOs have been named one of the main factors triggering the current decline. Brokerdealer.com provides a global database of broker-dealers operating in more than 3 dozen countries, including brokerage firms based in Hong Kong. The government has already taken a number of measures over the past week, including cutting interest rates, relaxing margin-lending rules, and adding bank liquidity, so far without any success in reassuring investors. The Asset Management Association of China pledged to halt additional stock investments for at least a year, and later to accelerate the issuance of share funds after the freeze. The IPO freeze will last until the Shanghai composite index reaches 4,500 points, Reuters reports. On Friday, the index fell by 5.8%, ending at 3,684 points. BrokerDealer.com blog update profiling the boom bust of China IPO activity and the latest China stocks ‘smack down’ is courtesy of 29 June 2015 extracted observations from global macro strategy think tank “Rareview Macro LLC”, the publisher of global macro trading investment newsletter “Sight Beyond Sight” and authored by Neil Azous..
We have stated many times in these pages that China’s stock market is driven mainly by liquidity and much less by corporate operating performance. Therefore, in order to better understand what is driving prices at the moment we wanted to provide this brief background and our view on the stock market correction. The China Securities Regulatory Commission (“CSRC”) is in ultimate charge of regulating the issuance, listing, trading, registration, depository and clearance of securities, and ensures that the operation of the stock market is in compliance with laws and regulations. As way of background, China A-share IPO subscriptions need to be 100% pre-funded by cash (no margin loan) and allocations are done on a pro-rata basis via a lottery system (i.e. brokers have no discretion). Once you apply, your funds are put in escrow. Collectively, a large pool of money is out of the monetary system for short periods of time. BrokerDealer.com provides the only global directory of leading broker-dealers, including those located in Hong Kong. The 1-day average performance of an IPO in this latest uptrend has been over 40% and it is not uncommon for an issue to be 1000 times over-subscribed. Even if you have to lock up funds for a short period of time, and only receive a portion of your order, that setup is akin to a lottery ticket if you are allocated any shares at all. To put the degree of the math in place consider this: In the week starting June 14, the CSRC approved 24 IPOs to raise ~$6.5 billion. In turn, this effectively, even if only temporarily, locked up ~$1.1 trillion during the escrow period. The main IPO culprit was Guotai Junan Securities Co which listed on Friday. The capital raise for this brokerage equated to $4.9 billion and was the largest in China since 2010. The final numbers are not available but it is fair to say that hundreds of billions of dollars was locked up in escrow as part of their lottery system. In an effort to clear a large backlog of IPOs created during an over-year long freeze in 2013, the CSRC doubled the pace of IPO approvals to ~20 per month in January, then doubled it again to more than 40 per month since April. This is the main problem that is impacting liquidity, not margin trading, in our opinion. Attached is the Bloomberg China IPO Index (BCIPO), a capitalization-weighted index which measures the performance of Chinese stocks during their first publicly traded year. As you can see, following a ~32% correction off the highs, the head of the dragon has now been cut off. Not surprisingly, all 10 of this month’s worst-performing stocks in the broader Shanghai Stock Exchange Composite Index (SHCOMP) are IPOs from the class of 2015. We highlight this because as much as sentiment has turned negative, even at the local level, the risk is that the correction triggers one of two outcomes: a suspension of IPOs or an acceleration of a restructuring of the lottery system. Both of which would be constructive and portend to higher equity market prices going forward. Now before dismissing this rationale as overly optimistic, we would note that the CSRC has suspended IPOs eight times in the history of the yuan-denominated A-share market, five of which were imposed since 2000 (Source: Xinhua News Agency, Bloomberg). The last moratorium was enforced in late 2012 and not lifted until December 2013. For the avoidance of doubt, while we are mindful that the local equity markets on Monday rejected the large monetary stimulus provided over the weekend, we are not in the camp that believes the “bubble has burst”. We simply believe it is a function of liquidity and timing of IPO’s. For example, the CSRC approved another 28 IPOs on Friday to hit the market in the next two weeks and the liquidity required to be placed in escrow and absorb the issuance is larger than the monetary stimulus provided over the weekend. To be fair, in order to restore confidence, ideally we would like to a see a similar situation that occurred at Central Huijin Investment Ltd at the beginning of the month. As a reminder, one of the top three catalysts for the start of the correction, alongside an increase in bank margin requirements and large IPO issuance, was the news that Huijin, the domestic investment arm of China Investment Corp (CIC), sold some of its holdings in Industrial and Commercial Bank of China and China Construction Bank. We have no edge in whether there was any truth to the “teach in Shenzhen” story, or whether that is just a Chinese code word for “he will work in a prison camp until he dies”. For his sake, we hope it is the former – although we suspect it may be the latter.